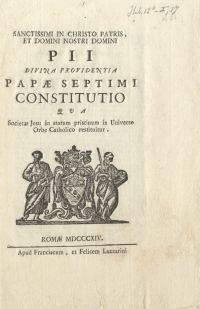 The bull Sollicitudo omnium ecclesiarum of 7 August 1814 was the third and decisive step in the gradual process of re-establishing the Society of Jesus undertaken by Pius VII. 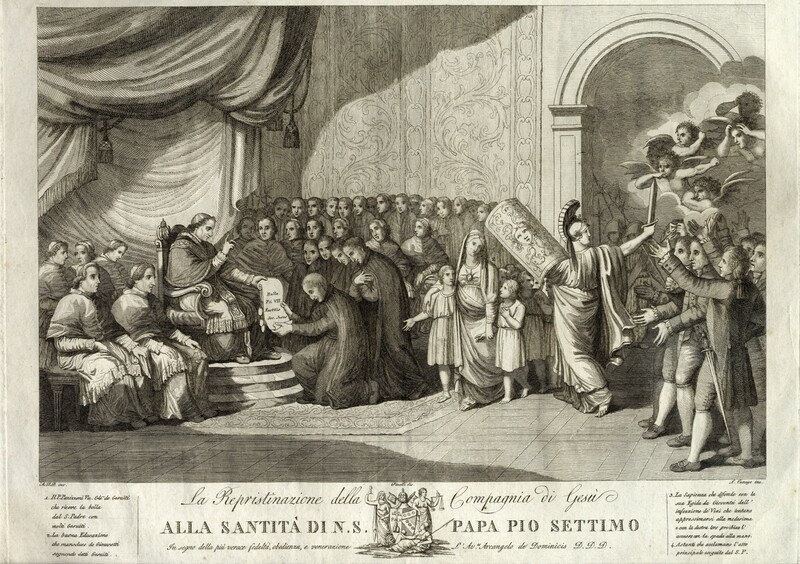 The same pope (family name Chiaramonti) had earlier recognized the existence of the Jesuits who had survived in the Russian Empire (in the breve Catholicae fidei of 7 March 1801), and subsequently extended this recognition to the Kingdom of the Two Sicilies (in the breve Per alias of 30 July 1804). 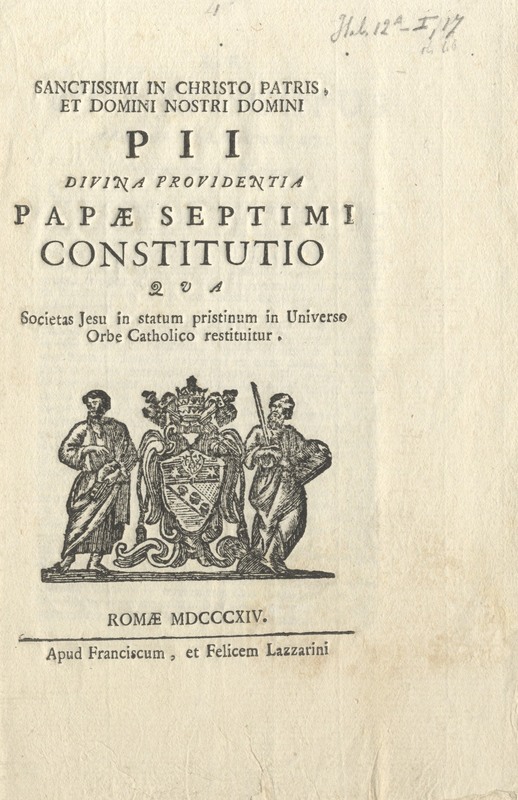 The pontifical document of 1814 extended the same faculties to the entire world, thus derogating from the decision of Clement XIV which suppressed the Society forty years previously. According to eye-witnesses, on 7 August 1814 the pope went to the church of the Gesù in Rome, where, welcomed by cardinals, princes, and about one hundred old Jesuits, he celebrated mass at the altar of St Ignatius. The rest of the ceremony took place in the adjacent chapel of the nobles, where the bull was read and was given by the pope to Father Luigi Panizzoni (1729-1820), superior of the Italian Jesuits. For the text (Latin and English), click here. 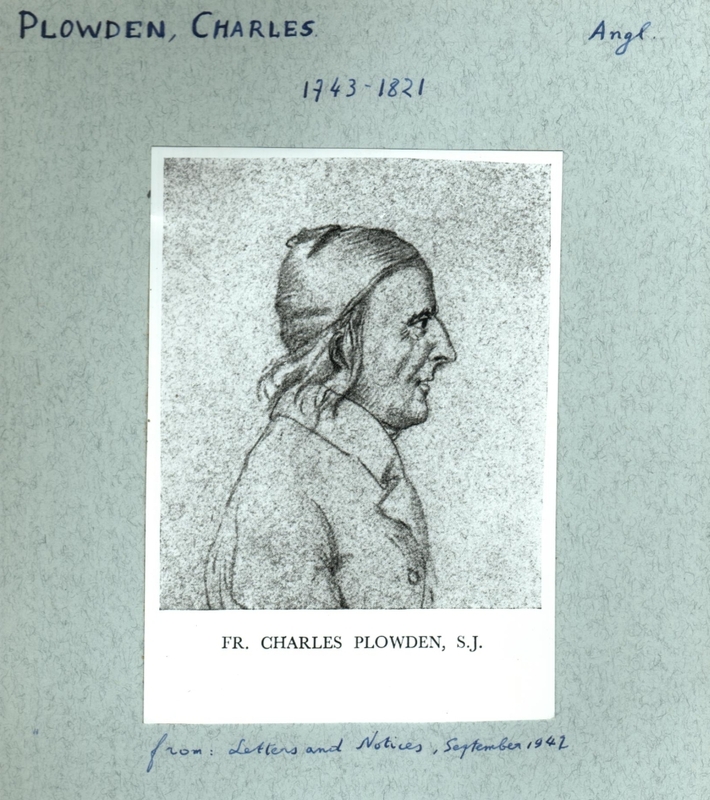 On 8 August 1814, the day after the universal re-establishment of the Society of Jesus, Charles Aylmer (1786-1847), an Irish Jesuit, wrote from Rome to Charles Plowden (1743-1821), an English Jesuit, at that time novice master, later provincial of the English Jesuits. 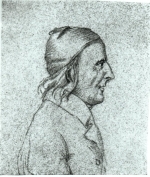 Aylmer recounts the events of the preceding day, of which he was an eyewitness, being present in the Gesù church during the ceremony noted above. 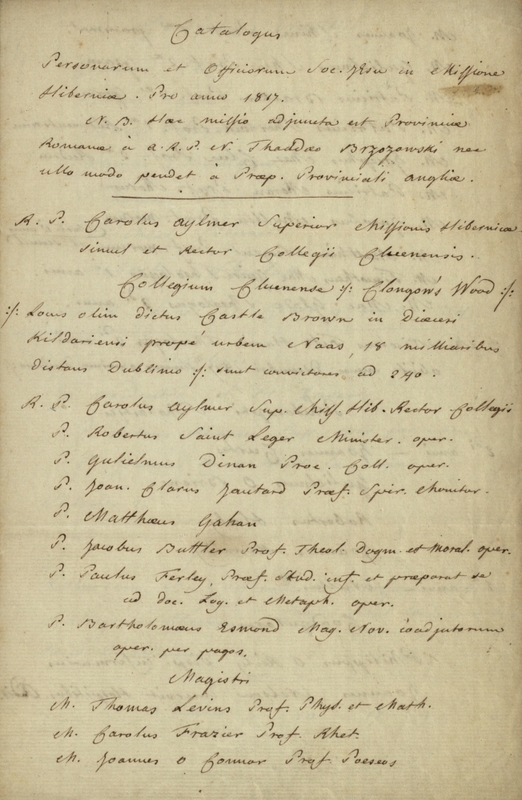 Text of the letter, click here. For more information on Charles Aylmer and Charles Plowden, see Catalogs SJ. On the period between Suppression and Re-establishment of the Society, as exemplified in one locality, see video: Between ‘Old’ and ‘New’ Society of Jesus: Stara Wies, Poland.